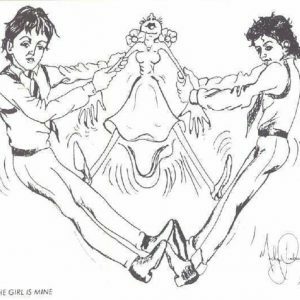 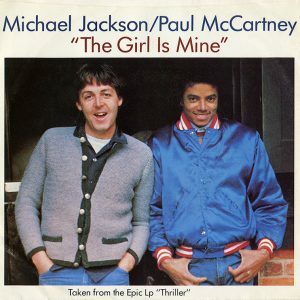 Michael Jackson wrote “The Girl Is Mine” and recorded it as a duet with Paul McCartney in 1982. 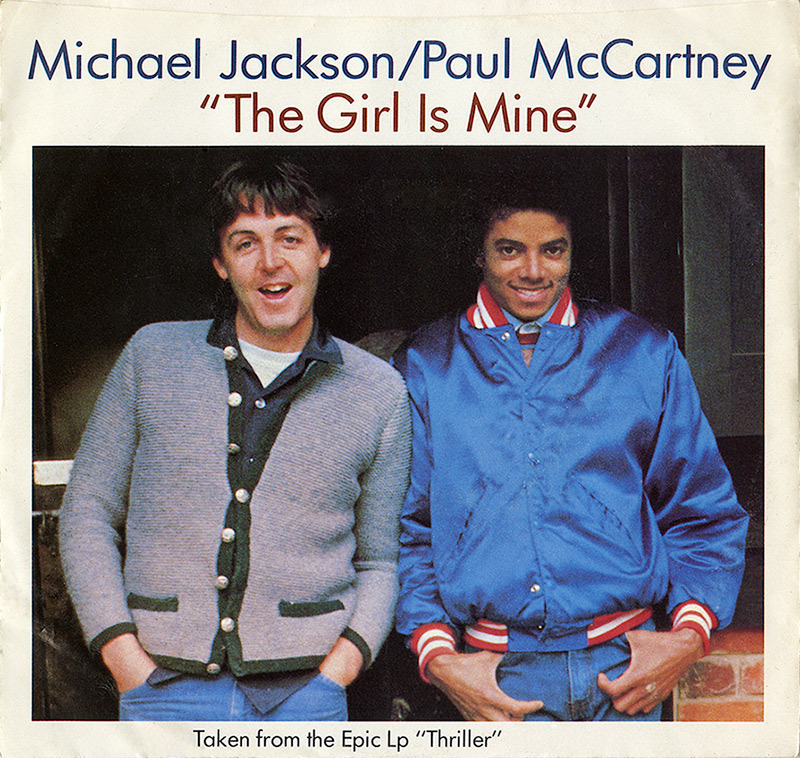 The song was released on this date as the first single from Thriller. 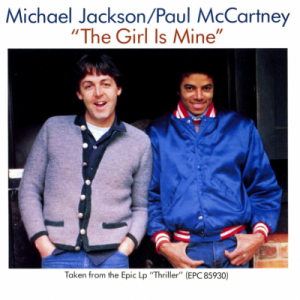 In the duet, Michael and Paul are rivals for the same girl, with each of them insisting that “the girl is mine.” Michael later said the recording was one of his most enjoyable moments in the studio. 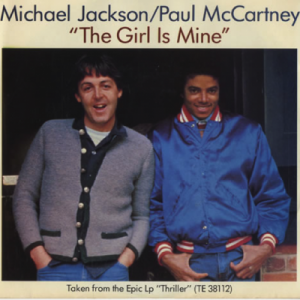 The duet peaked at #2 on the Billboard Hot 100 and topped the U.S. R&B and Adult Contemporary singles charts, selling more than 1 million copies in the U.S. alone. 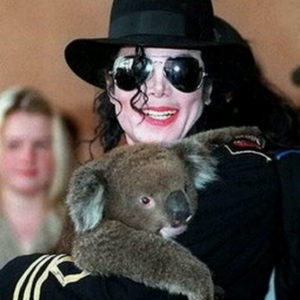 It also reached the Top 10 in several other countries, peaking at #8 in the U.K. 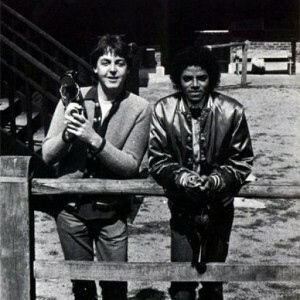 The single cover artwork was photographed by Linda McCartney. 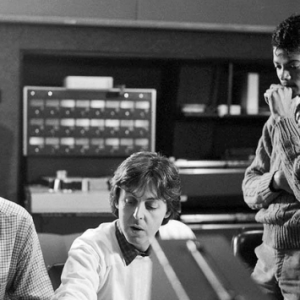 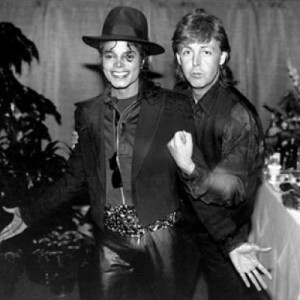 Michael recorded two additional duets with Paul during the 1980s — “Say Say Say” and “The Man” — for Paul’s 1983 album Pipes of Peace.